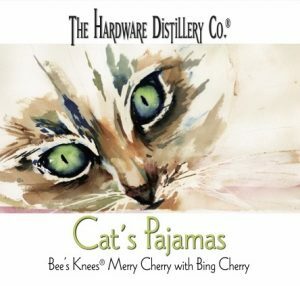 The Cat’s Pajamas starts with Bee’s Knees® Merry Cherry, which is sweetened with bing cherry concentrate and cane sugar. The alcohol content is approximately 25 ABV (or 50 proof). It is the first product on our bar that is slightly sweet and under 40 ABV. The first batch is a fund-raiser for Kitten Rescue of Shelton, Washington, and $5 from the sale of each bottle will be donated to Kitten Rescue. Some of you, who have been to the Hardware Distillery, might recognize Loki on the label which was painted by Distillery co-owner Jan Morris. 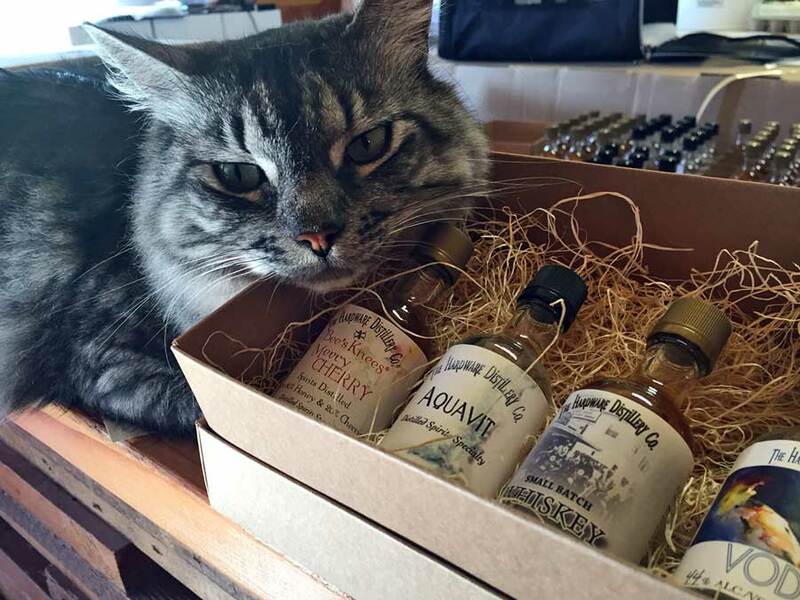 Loki came to the Distillery from Kitten Rescue. 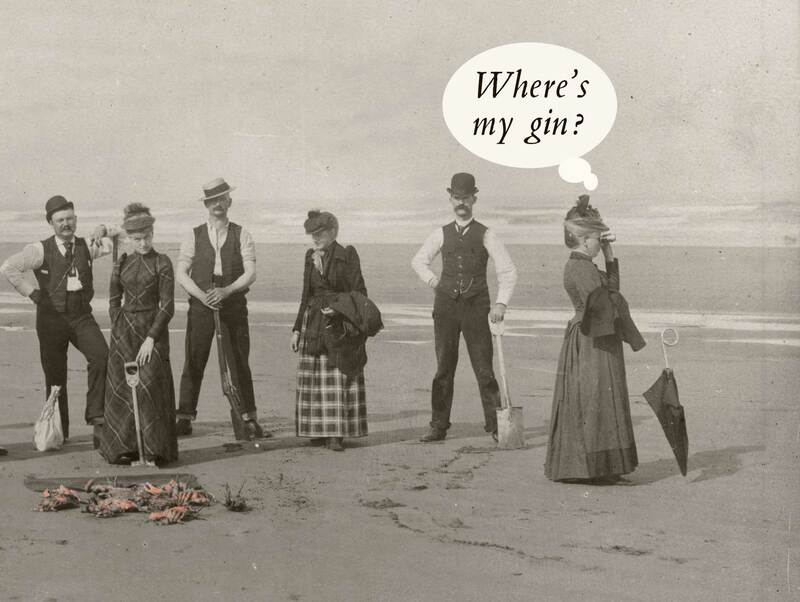 Use Cat’s Pajamas the same as any liqueur*–after dinner or any time a slightly sweet drink is preferred. We’ll have some recipes soon.